Born in Osaka, 1988. MFA, KCUA. 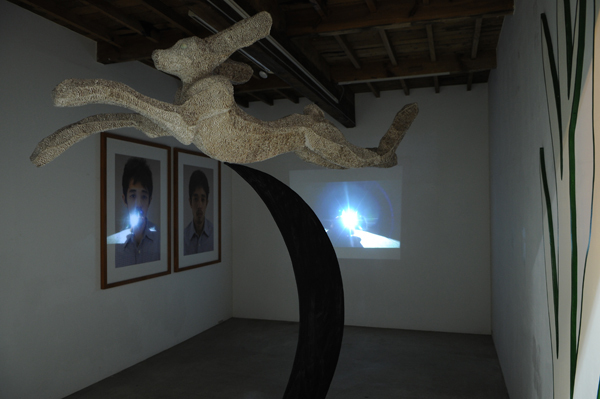 Using various resources such as rock, photography of the surface of rock, wood and clay, Taninaka creates sculptures and performative works. 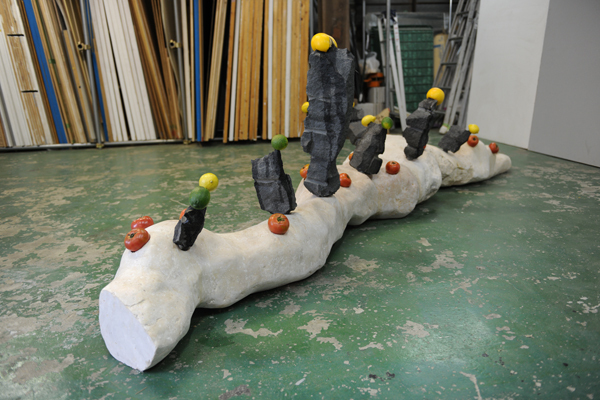 In one of his works, he buries fruits and vegetables in the holes of carved rock sculpture. He was awarded Grand prize in Art Award Tokyo Marunouchi in 2014 at Gokoumachi gallery. He works at HAPS studio in Kyoto.